Julius Genachowski, Chairman of the Federal Communications Commission called on the Federal Aviation Administration to allow greater use of “tablets, e-readers and other portable devices” during flights. Earlier this year, the FAA announced that it was going to reconsider the current ban on the use of electronic devices by establishing a study group to review the policies in place. The scope of the study was not intended to allow voice communications during flights. 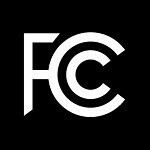 Now the FCC is chiming in with Chairman Genachowski sending a letter to the FAA, “This review comes at a time of tremendous innovation, as mobile devices are increasingly interwoven into our daily lives.” The letter then shapes the FCC’s position around productivity and driving economic growth in the US and offered to work with the FAA during the review. In 2004, the FCC looked into lifting rules that prohibited in-flight use of cellphones, but later dropped the issue because there was not enough technical information available at the time. With the advent of using Wi-Fi on flights, it seems an appropriate time to loosen rules about use of certain devices during take-off and landing. Whether that would translate to a meaningful improvement in productivity is another matter. Being able to use electronic devices in flight just might help people overlook that seat space seems to be more and more limited, or that carry-on space is more and more limited. Or that in-flight movies and snacks being offered gratis are fewer and further in between. Perhaps even that shortly before take-off all passengers had to either have their naughty bits irradiated or manhandled by a guy I swear I saw working baggage, just with a new sweater & hat, my previous trip through the airport. It would be a good move by the FAA. I mean seriously... the pilot crew is allowed to utilize tablets in-flight. Is there some magical shielding around their electronic devices, which are even nearer to the instrument panels than those of the people in the cabin would be? Short answer is of course, no. Nothing magical about the electronics in use in the cockpit. It's just another way for "government" to interfere and control. I always love it when they say "For your SAFETY, all portable electronic devices must be turned off during takeoff and landing."! Really, if it was "un-safe" I don't think we would be allowed to carry them on. Lets get this regulation changed! If this changes things so that using electronic devices be safe...it would be just great!! I keep getting annoyed because the flight attendant keep telling me to switch off my phone everytime i fly, even though i was just listening to music with the network cut off, as in flight mode.